Islamabad is expanding its boundaries towards zone 2 and zone 5 and a large number of private developers are establishing their housing schemes across Islamabad, but still CDA is more preferred by general public and investors due to a number of factors. We have listed down the factors below which can be considered as pros and cons of investment in CDA sectors as compared with any other private housing scheme. CDA launches limited plots at quite reasonable prices as compared to private concerns, which drives a large number of aspiring applicants, therefore prices jump quicker than any other housing scheme. Other important factor is location as CDA develops housing schemes or sectors in main Islamabad where majority of people would love to have their residence. Whereas, other private housing schemes are situated quite a long way from main Islamabad. Third factor is trust, as many people do not want to trust private developers due to the risks involved but CDA represents the government which is quite trustworthy. There are not just pros associated with investment in CDA sectors, some cons should also be taken into account which haunt a large number of people for past many years. CDA takes ages to develop a sector. There are some instances where people have been waiting for more than 15 years but there is no hope so far. Although the prices rose quite high during all these years, but those who aspired to build their own houses have no option but to wait. These delays are mostly caused by local residents who do not agree to hand over their land to CDA for development. Second negative factor associated with CDA is low quality of development. If you compare the development standards of CDA with those of DHA, Bahria & MPCHS, CDA will certainly rank low on your list. We have not included the sectors which are developed by private housing schemes like G-15, G-16, F-16, D-17, B-17 and F-17, as this topic only covers the CDA sectors which are operated by CDA or government bodies such as FGEHF. We have shared brief information on each of the above listed CDA sectors so that you can have clear idea of the background, location and features. We will list down pros and cons of each sector so that you can make a better investment decision. 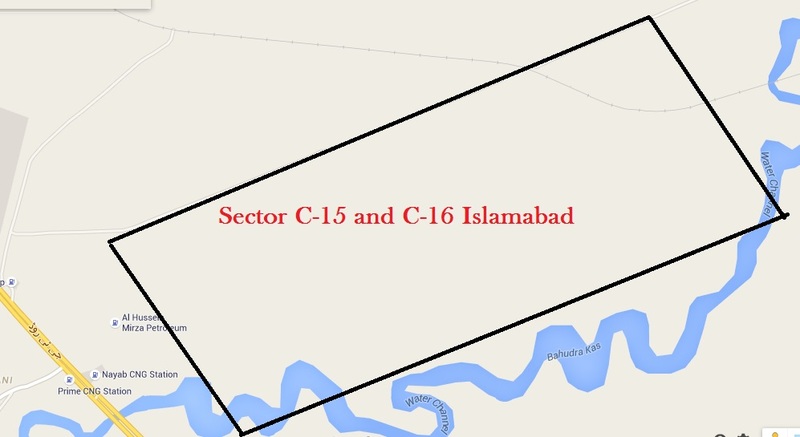 Sector C-15 and Sector C-16 were recently launched by CDA where land acquisition is still under progress. CDA had announced land sharing policy in these sectors whereby land owner would receive 1 kanal of developed plot against 4 kanal of land which lies in these sectors. These sectors are located near Moaza Kharbooza and have access through Margalla Avenue. As per the plan, Margalla Avenue starts from sector D-12 and leads up to G-T road giving access to newly launched sectors and providing shortest access to housing schemes on the other side of G-T road including B-17 & D-17. These sectors mostly consist of 1 kanal residential plots while few smaller plots are also included in the master plan maps. Location is very good and worth considering for investment or residence after the planned access routes are constructed and development is completed in these sectors. Since CDA is currently engaged in the process of land acquisition, physical development seems to take a long time considering the past track record of civic authority. You can consider it as long term investment option with high profit potential. Since these sectors have recently launched and prices are still reasonable. So if you can afford to wait for as long as 5 to 8 years or maybe more due to unprecedented hurdles which are common in case of CDA, this investment can fetch you manifold return by the time it matures. 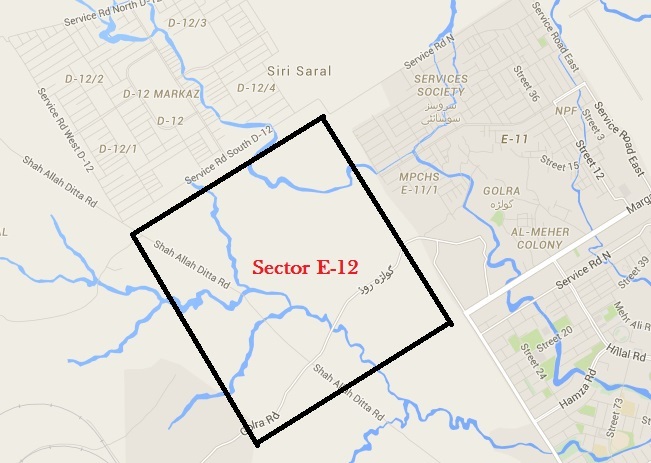 Sector E-12 was launched about 20 years ago by CDA next to the most appealing residential sector E-11. It is situated close to the shrine of Golra Sharif and abound in illegal constructions and encroachments. Apart from the appealing location, there are not signs of physical development in this sector after as long as 2 decades. Plot prices range from 30 lacs up to 2 crore in this sector depending on plot size, location and category. The area close to E-11 is expensive, whereas the area to the opposite side is cheaper. There is no doubt that prices will increase manifold in this sector after development but it is going to take another couple of years for CDA to take possession of entire land in this sector from residents and start development. If you do not have budget constraints and you can wait for as long as 10 more years, you do not need to look anywhere else but to grab 1 kanal plot at good location in sub-sector E-12/3 or E-12/4. This investment is going to give you manifold return once development is completed and plots are handed over. Sector G-14 was launched in 2004 by FGEHF which is a Government body responsible for developing housing schemes for federal government employees in Islamabad. Sub-sector G-14/4 is fully developed while remaining 3 sub-sectors are still awaiting development. Housing Foundation has been negotiating with local residents to evacuate the land especially in G-14/3 where survey has been conducted already and reward has been announced. However no survey conducted in G-14/2 and G-14/1, where a majority of local population is settled and FGEHF has failed to speed up the process of land acquisition. Location of G-14 is quite attractive as it lies on main Kashmir Highway, where neighboring G-13 sector costs almost double of the prices in non-developed sub-sectors of G-14. This investment is also long term as it can take years to remove the settlers but once developed, you will love to have your residence in G-14. 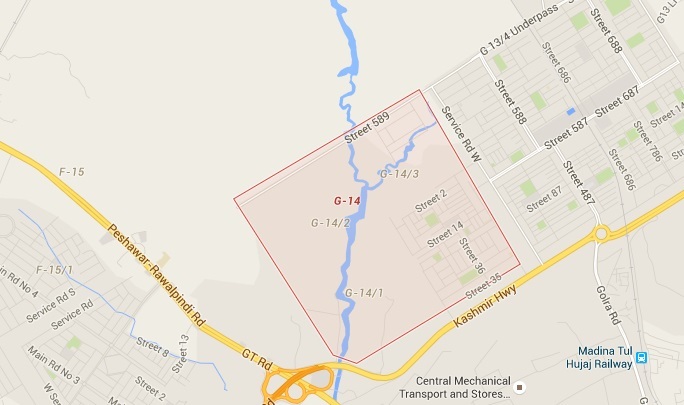 Sector G-14 has 4 marla, 5 marla, 7 marla, 10 marla, 12 marla and 1 kanal residential plots. Leaving side the developed area of G-14/4, we have 3 sub-sectors where we can go for investment. 4 marla plots normally range around 30 lacs, 5 marla plots normally range around 40 lacs, 7 marla plots normally range around 55 lacs, 10 marla plots normally range around 75 lacs, 12 marla plots normally range around 90 lacs and 1 kanal plots normally range around 1.25 crore rupees. These are average prices including all sub-sectors but prices vary according to sub-sector, location and category. If you have medium budget and you can wait for as long as 5 to 8 years, you can consider G-14 as the best investment option. You should pick up 1 kanal or 10 marla plots in G-14/3 right away as this is the part which is going to be developed first so you may earn maximum profit much before the specified maturity period. 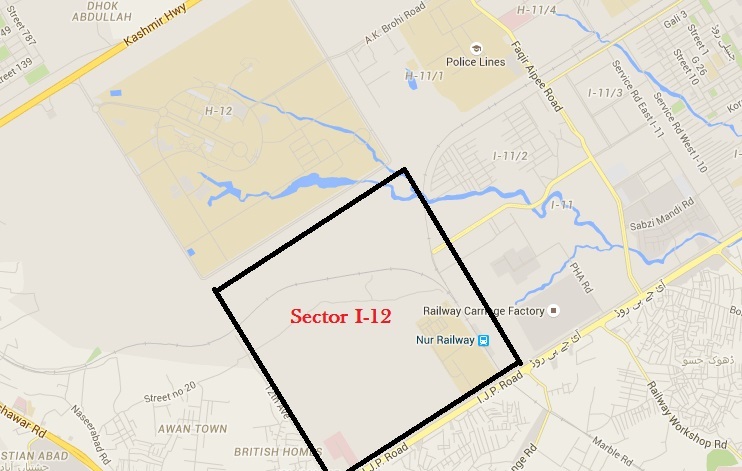 Sector I-11 is part of Zone 1 and located in Main Islamabad near Metro store and Fruit Market. 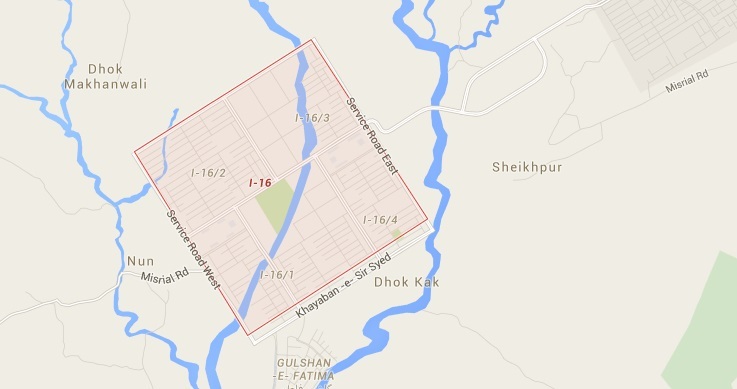 This sector comprises residential plots as well as PHA flats which are located in I-11/4. Despite having excellent location, this sector is badly ignored by the civic authority and doesn’t seem to be part of Islamabad anymore. Sector I-11 was launched about 25 years ago but CDA is still unable to take possession of land in this sector. A large chunk of Afghan Refugees had settled in I-11/1 who have become a security risk now due to lack of security checks by the authorities but still it seems impossible to relocate this Kacchi Abaadi from this sector. Only developed area with some possessions is in I-11/2 which is close to Kashmir Highway and is an ideal place for residence. Development standards are poor, but still this is all we have in I-11. If ever CDA makes serious attempt to reorganize and develop this sector, this will worth almost same as sector G-11 so you can’t miss it as your long term investment option. If you want to live close to Islamabad and have moderate budget, you can consider a residential plot in I-11/2. Few houses have constructed recently in this sector and there are chances that Afghan Basti may be removed after some years so this location can prove to be a windfall in future. 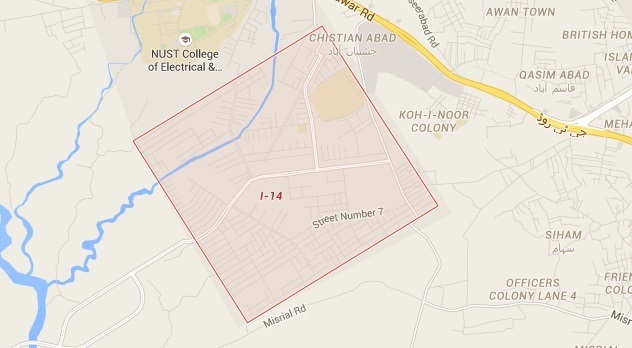 Sector I-12 is located on the back of Nust University. This sector is also awaiting development for many years but no development work has physically started yet. CDA has approved PC-1 for development work in I-12, and more plots have been added in this sector where affectees of sector I-14 and E-12 have been adjusted. Since many affectees have been relocated in sector i-12, there is some difference in prices of plots held by affectees and those which have been sold and transferred to somebody else earlier. This is called first transfer and second transfer, where first transfer files belong to affectees and some additional procedure is required to get transfer, therefore prices are a bit lower for such files. Second transfer files belong to general investors who have purchased these files from market and transferred to their names, therefore such files do not require any special procedure and price is a bit higher. Normally prices range from 25 to 35 lacs for 5 marla and from 38 to 50 lacs for 8 marla plot. Prices can differ slightly due to location and category. Location of I-12 is quite appealing, and the area near Nust Road – which starts from I-11 and leads up to Nust University – is quite expensive and much in demand. Layout plan has been designed and development tender is expected to be given very soon. Once development work starts in I-12, prices can increase up to double of the current prices. So this is also an attractive investment opportunity for good return. Since budget is allocated for development in this sector, you might not have to wait for many years for development in this sector. If you have moderate budget, you should consider 8 marla in I-12/2 or 5 marla in I-12/3 for investment. Once developed, this location can give you more than double of your investment. Sector I-14 is located near Golra Morr. This is a developed sector with few houses built already. Sector I-14 is to the other side of G-T road, which is mostly considered to be part of Rawalpindi rather than Islamabad. Ripha University and Hajj Complex are located in this sector, while other living facilities are available. If you happen to visit this sector, you might feel that development standards are quite poor. Roads are broken, some streets are narrow, street numbers are not found and deep ravines are located here and there. Despite all the negative aspects, once proper development work is completed in this sector, this location is going to pay manifold return to investors. CDA normally doesn’t work on final development touches before a reasonable number of houses have been constructed, so hopefully this sector will be developed properly after few years when population grows in the sector. Plot sizes are normally 5 marla, 7 marla and 9 marla, where 5 marla costs around 30 lacs, 7 marla costs around 45 lacs and 9 marla costs around 65 lacs. Prices can slightly differ according to location, category and status of plot on ground. This is not a very long term investment so you can expect good profit within 3 to 5 years. You can include this sector in your list of preferred investment options in Islamabad. If you have moderate budget and you can wait for up to 5 years, you can consider this sector for investment. As location is everything in real estate, you should not just reject this sector due to poor development. Once good population inhabits I-14, prices can go up to more than double in this sector. Sector I-15 is connected to sector I-14 through a link road. Sector I-15 is non-developed and it is included in the list of sectors which are going to be developed soon by CDA. When this sector was launched, CDA had sold plots as well as apartments in I-15, but later on the idea of flats was dropped due to increasing cost of construction and new plots were created. CDA is going to conduct balloting of plots in lieu of flats soon, and soon after the balloting, development work may commence. Budget has already been allocated for development of this sector, and location is also very good. This sector is also clear from encroachments, so CDA won’t have any trouble developing this sector. I-15 consists of 5 and 8 marla residential plots which are spread across all sub-sectors. Prices of 5 marla plots normally start from 18 lacs up to 20 lacs and prices of 8 marla plots normally start from 25 lacs up to 30 lacs. I-15 is planned to be developed better than I-14 and the location is better than I-16, so it is considered as a good option for long term investment in Islamabad. Plot prices in I-15 are less than I-16 so it doesn’t cost you much to grab a 5 or 8 marla plot in this sector and keep it for future use. This sector is the best one to invest with low budget. Since development budget of I-15 is approved, it is not going to take much time for CDA to start development in this sector. It should not take more than 5 years to fully develop this sector and expected return is about three time or more than current prices. 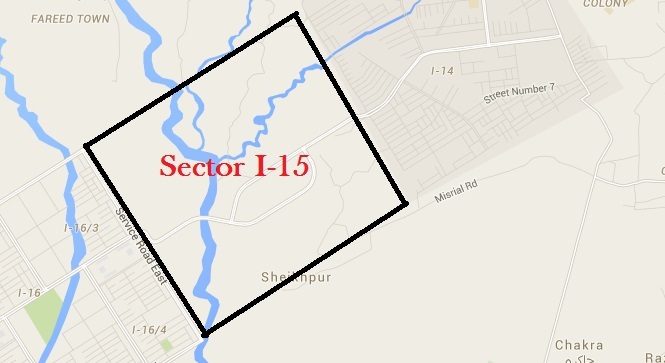 Sector I-16 is last residential sector of I series of Islamabad sectors. It is annexed to sector I-15 and same link road connects I-14 to I-16. Sector I-16 is a developed sector where few houses have also been constructed. Development standards of I-16 are much better than I-14, however location is quite a long away towards motorway. Its neighboring societies are Foreign Office Employees Cooperative Housing Scheme (FOECHS) and CBR phase 2 Islamabad. I-16 consists of 5 and 8 marla residential plots which are ready for construction. Plot prices range from 18 to 25 lacs for 5 marla plots and from 25 to 35 lacs for 8 marla plots. It is going to take much time before I-16 can have good increase in value since the area is quite far away where population will grow after the industrial zone is developed in sector I-16 & I-17. Part of I-16/3 has large plots which are most probably reserved for factories, which is a negative factor as nobody likes to live close to factories. Pace of development is good. Quality of development is good. If you would like to grab a piece of developed land at such low prices in a proper cda sector, you will find no other option but I-16 which can meet all of your needs. You can build your house right away and start living as all necessary facilities are available. As soon as population increases, prices can go up to more than double. You can always add your views to the information provided in this article. If you differ to any point, want to add to the information, or you need further information on any of the CDA sectors, you can leave your comments below.